Experimentation is one of the important strategies used in engineering design to understand the relationship between relevant variables so that they can be manipulated to generate optimized solution for a particular problem or design. The understanding of students’ experimentation strategies allows educators to help students improve their design experiments by providing scaffolds or guidance. The purpose of this study is to investigate students’ experimentation strategies while they work on a design challenge. We performed a concurrent think-aloud to capture students’ verbal description of their actions while they designed using a CAD tool. Using mainly the think-aloud transcripts, we identified and characterized patterns of students’ experimentation strategies. In this study, we were able to identify four main activities whose combinations resulted in five different experimentation strategies performed by students, along with their explanation of their actions. 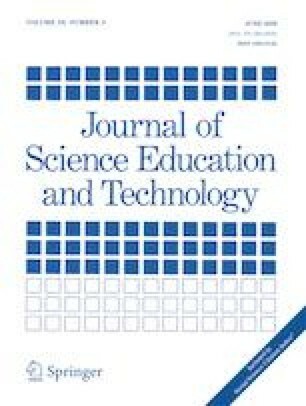 Implications of this study relate to scientific argumentation, learning support, design of practical learning activities, and teacher encouragement. This research was supported in part by the U.S. National Science Foundation under the award DLR 1503436. Any opinions, findings, conclusions, and recommendations expressed in this paper, however, are those of the authors and do not necessarily reflect the views of the funding agency. In addition, we would like to acknowledge the Concord Consortium for providing access to Energy3D. This research was funded by the U.S. National Science Foundation under the award DLR 1503436.